Intan’s three stories that were not already published in Koran Tempo are, suprisingly, the best. Surprising since her previous short story collection Sihir Perempuan was a bit stiff, sounding more like a tome of recyled gothic THEORIES than deconstructed-then-rebuilt gothic stories some critics claimed it to be. In these three stories, Intan not so much recycled Abdullah Harahap’s dime-novel gothic-horror mannerisms as got totally possessed by them. Same choppy cinematic descriptive sentences, same gallows humor. Intan wrote her stories closer to the gothic templates than Harahap. If you think that’s a good thing then you could say Intan has improved on the original master’s work. As an example, in her story “Pintu” (cf. 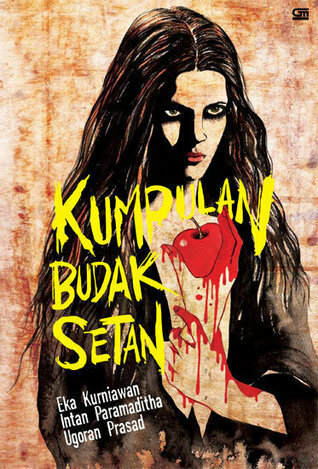 Harahap’s own “koridor”), the modernisation of gothic settings/characters/tropes from castle –> rumah gedongan, Translyvania –> kompleks perumahan Jakarta coret, Dracula –> a gay married man, hypocrisy of Victorian England –> of Jakarta, is taken to its logical conclusion sans Harahap’s characteristic digressions/plot holes. But then again, one of the thing that’s great about the master Harahap’s work is how often it defies attempts (by critics) to fit them perfectly into a gothic template. The lack of perfect fit is unsettling, disturbing, terrorizing, some of his stories often terrify/horrify because of, not despite, those transgressions. Intan’s stories make me smile and chuckle at how clever they are/she is. But that’s not why I like them. She’s just such a better story-teller now than she was in Sihir Perempuan. This entry was posted in Essays, On literature and tagged abdullah harahap. Bookmark the permalink.